Join Streetsblog happy hour tonight at 6 p.m.
Just a reminder: Tonight is Streetsblog happy hour, now a monthly occurrence at Virgil’s Sea Room. Join us on the back patio to drink and chat about the latest goings-on around biking, walking, and transit in San Francisco. You may even get to put some faces to the monikers you’ve been arguing with in the comments section. We’ll be at a reserved table on the back patio at 6 p.m. at Virgil’s Sea Room at 3152 Mission Street (south of Cesar Chavez). From 6p-7p are when 10% of the proceeds go to Streetsblog, right? The proceed donations actually only happen every third month — so at July’s event, 10% of drink proceeds all night will help support us. 7 p.m. is just when Virgil’s drink specials end. 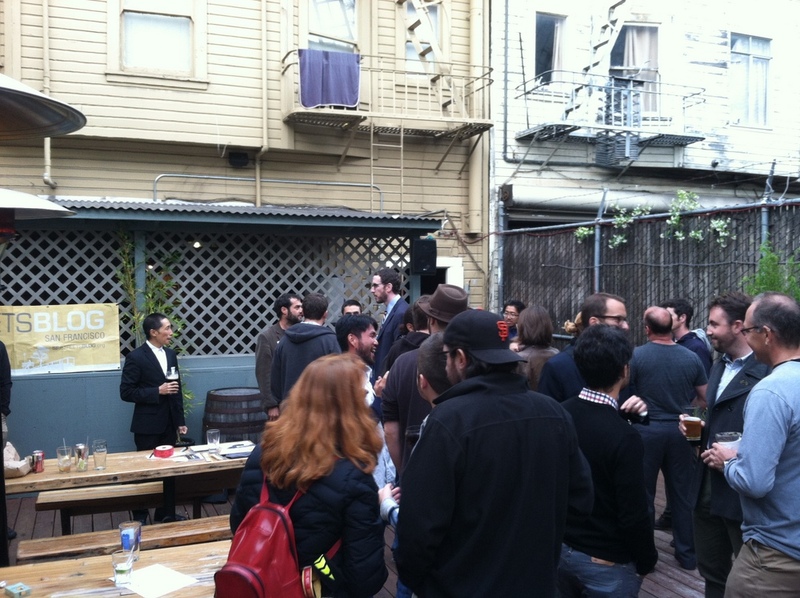 For the non-donation events like tonight’s, it’s just a venue for Streetsblog readers to meet up and chat every month. Oh ok, cool–good to know! That way I won’t feel too bad if I can’t make it till more like 7 today. At the last happy hour, Virgil’s somehow didn’t validate for parking. They even looked confused when I asked. Hopefully this oversight will be fixed tonight. I mean, what do they expect, that people will take Muni to drinking establishments located on a transit-rich street like Mission? Haha! Streetsblog ‘Bike to Work Day’ Happy Hour Tonight!